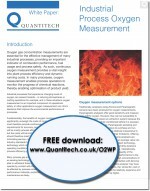 Quantitech says the White Paper explores the benefits of oxygen monitoring and examines the technologies available for continuous oxygen monitoring. These include Zirconia and Paramagnetic sensors and Tunable diode laser absorption spectroscopy (TDLAS). The relative merits of each technology are discussed and a number of applications for oxygen monitoring are discussed. 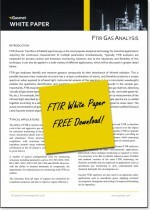 QUANTITECH has announced the publication of a free White Paper on the simultaneous measurement of multiple gases in a wide variety of applications using FTIR (Fourier Transform InfraRed) technology. JBC says there are exciting times ahead with its new product launch. 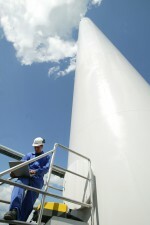 The company says ‘HALO’ uses cutting edge technology to create a remote boilerhouse monitoring system, using analogue, digital and mod bus outputs, providing a critical overview into asset performance and fuel, water, steam and power are monitored in real time, delivering consumption and cost per Kg of steam raised. QUANTITECH says it has supplied large numbers of MCERTS approved FID analysers in the UK for many years and these instruments are employed for the monitoring of TOC gas emissions in regulated processes. However, the company says the Bernath 3006 analyser has been discontinued so it has launched the portable SK Elektronik Thermo-FID PT, which offers improved performance and enjoys MCERTS approval. 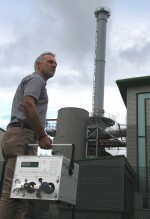 QUANTITECH reports it has experienced a surge in demand for the Gasmet portable FTIR emissions analyser, the DX4000. “We believe that this instrument is now the only portable FTIR with MCERTS certification, and this is driving demand for both instrument rental and sales,” says Dominic Duggan. FLUKE PROCESS INSTRUMENTS has announced it has launched the Thermalert 4.0 spot pyrometer series for automatic noncontact temperature monitoring between -40 °C and 2,250 °C. The series currently comprises 13 models with varied spectral responses, including dedicated sensors for metals, glass, and plastics products.